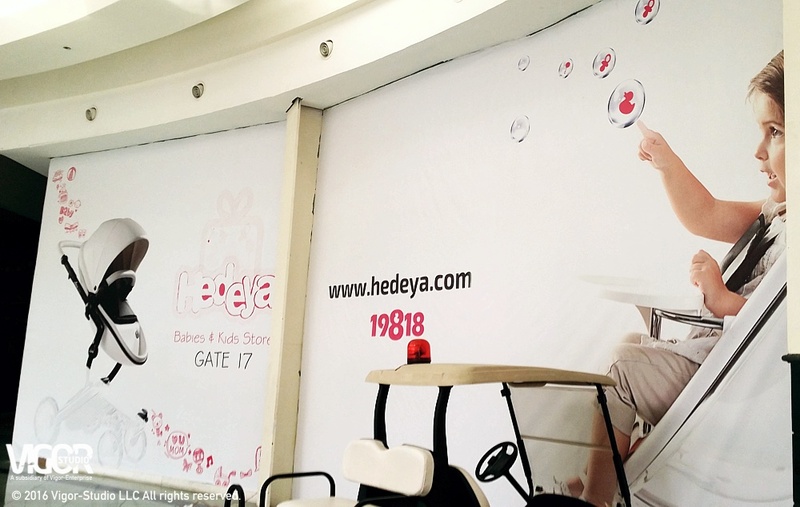 Hedeya Stores is one of the leading retail stores for kids and mothers products in Egypt and Middle East. Mall of Arabia internal announcing for the opening of Hedeya Store (Gate 16). Vigor Studio was the leader of the die-cut vinyl idea on the glass handrail inside Mall of Arabia.